About Aquabion UK Ltd. - Products, News and Contacts. Aquabion's commercial water conditioners can solve industrial scaling problems and offer commercial units for hospitals, hotels, restaurants offices etc. Our Aquabion domestic units are a proven limescale solution for any home. 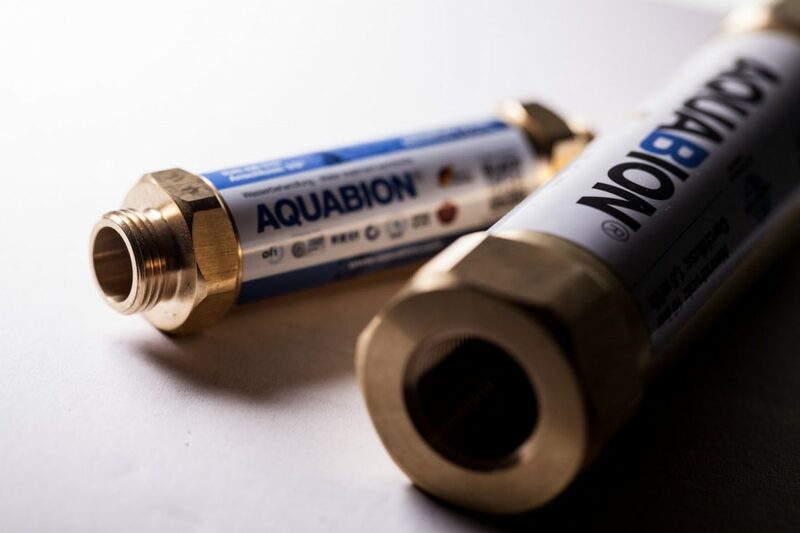 Our Aquabion Minis are the perfect solution to remove and prevent the build-up of limescale in you shower or washing machine. They are very quick and easy to install, maintenance free and come with a 3 year warranty. You will be amazed that something so small can have such a big impact!